“Never heard of it,” we said. While we were mulling over this possibility, we met a fellow hotel guest who happened to be from Kerala. I told Sandhya we were thinking of visiting Kerala, and she turned travel agent on the spot. Note: Please look two posts down for Stop 2. I’m not sure why it isn’t appearing here. 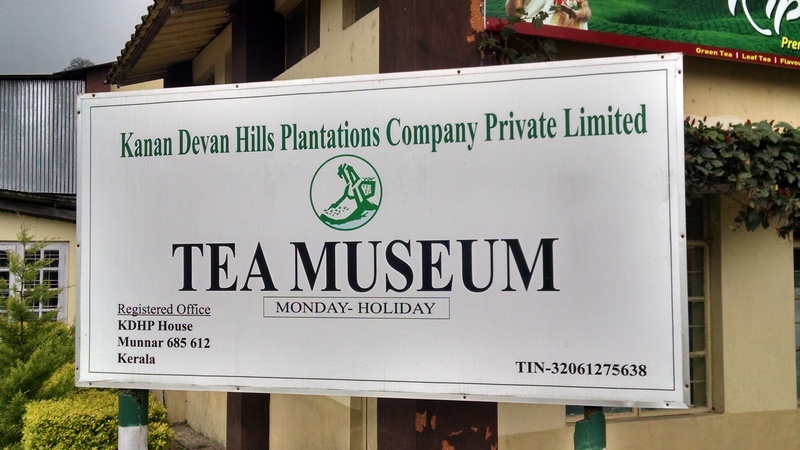 Following our walk through the tea fields (See A Week in God’s Own Country, Stop 2), and while Brian was hard at work grading assessments, Brianna and I went to the KDHP Tea Museum to see what happens to tea after it leaves the fields (no pun intended). The driver arranged by my new Indian friend living in Moscow met us promptly at the train station in Cochin. 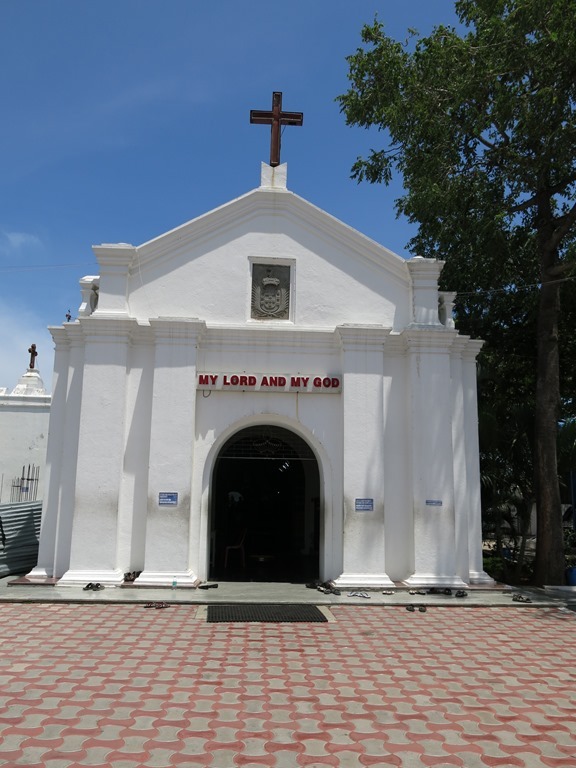 We made directly for the mountains, after stopping for breakfast at the Royale County Hotel on the KRL Road in Tripunithura. The servers waited most attentively, and the South Indian-style buffet was quite satisfying; the coffee was the best we’d had yet. 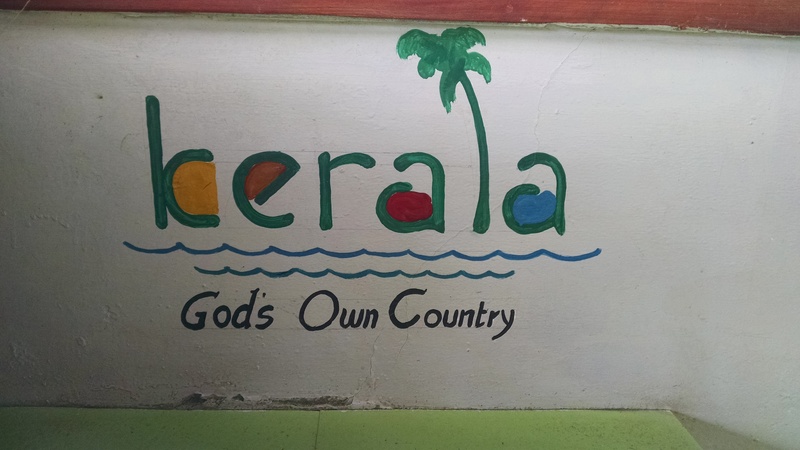 Then on to Munnar, stopping first at the Kerela Farm described in A Week in God’s Own Country, Stop 1. I had read in a guide book that the primary reason to visit Munnar is the tea fields. Without my friend’s urging, I might have left it off the itinerary; I’m so glad I didn’t. 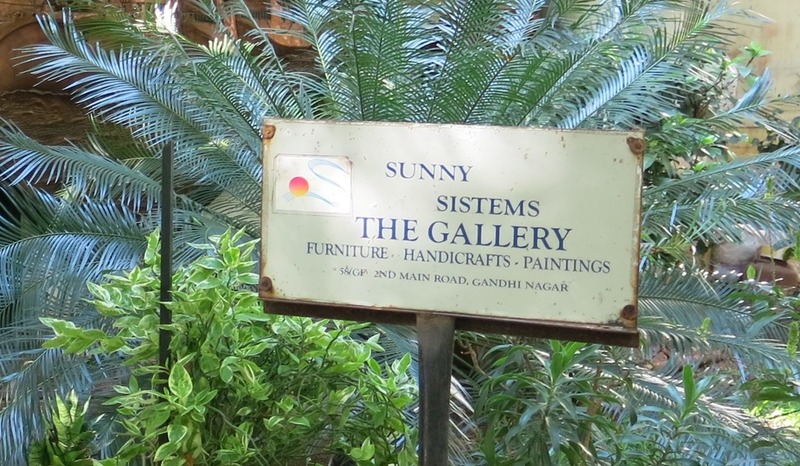 A few weeks ago Brianna and I were wandering about in the vicinity of Gandhi Nagar in Adyar (Chennai) in search of a bookstore and/or ice cream, when we passed a sign for Sunny Sistems, The Gallery. I started to pass by the residential-type building in pursuit of our mission. But, curious, and thinking it could be a good place to ask directions, we turned back.